Back in February, I presented my comprehensive1 analysis of 2011’s musical offerings and now, several months later, it occurs to me that a handful of discussion-worthy releases were unintentionally omitted. Three of those overlooked albums, however, I could not resist discussing, even if somewhat belatedly. In a zombie-esque move, Lydia returned (in an altered state) from its dissolution to put out Paint It Golden, a full-length that follows in the footsteps of 2010’s Assailants EP, which is to say that it’s an underwhelming trip through unremarkable soundscapes while lead singer Leighton Antelman’s repetitive melodies swirl about with no particular sense of direction. Even though Lydia is a fundamentally different band now, it’s sad to see this kind of effort from the same name that brought us 2008’s masterful Illuminate. Lastly, thanks go out to friend-of-the-blog Bob Jones who introduced me to The Head And The Heart and their self-titled debut during my most recent trip to the Windy City. If you enjoy folksy music it seems inevitable that you will enjoy this album. The opening track (“Cats and Dogs”) is a masterful amalgamation of melody, rustic instrumentation, and progressive through-composition. Hearty lead vocals and delicate harmonies (especially “Rivers and Roads”) make this album a must-hear, but the instrumentation and composition are equally impressive. 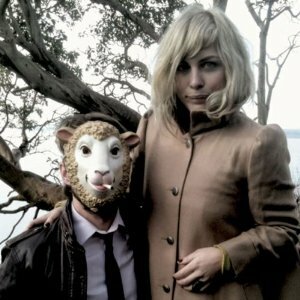 While it eluded my detection in its release year, The Head And The Heart is ultimately one of the better albums of 2011. Pick it up. 1. If not quite comprehensive then at least long. 2. I think internet law obliges me to remark that, yes, States is comprised of former members of none other than Copeland and the aforementioned Lydia. Blog-favorite Gates, mentioned in my original 2011 post, also contains an Illuminate performer (check out Gates’ phenomenal sophomore effort, You Are All You Have Left To Fear, for free here). I think everyone has come to terms with these facts. Can we please, fellow internet writers, stop referring to States and Gates as ‘States (ex-Lydia)’ and ‘Gates (ex-Lydia)’? I thank you in advance for your cooperation. 3. A re-release of Room to Run album is set to be released later this month with what appears to be much-improved album art and some bonus tracks.